Consider booking a condominium at Copper Mountain on 4th of July weekend, because the long weekend is full of adventure for both adults and kids — including a live performance from Three Dog Night. For families, a unique race, unlike any in the nation, takes place at Copper with the Family Adventure Quest. This is based on the original Kids Adventure Games, which included mountain biking, water sports (including tubing and crossing a river on long mats), belaying down a small cliff, slack lining over a mud pit, and climbing cargo net. Plus a zipline rewards them. Both the original kids games, and now the Family Adventure Quest, are designed to promote an adventurous spirit, environmental awareness, teamwork, and, of course, a whole lotta fun. A Family Adventure Skill Clinic on Friday, from 1-5 p.m, helps sharpen skills by focusing on mountain biking techniques, climbing and roping skills, teamwork and adventure racing. Race check-in takes place the day before the race. Sign up by visiting Kidsadverture.com. Also on Friday, kids get their own Pajama Jam with a DJ in Burning Stone Plaza from 5-7 p.m.
Copper hosts the inaugural Family Adventure Quest on July 2. Through it, families go through an adventure course featuring mud pits, zip lines, slack lines, cargo nets, biking and treks. Two-person teams must include one adult and teen or one child, age six to 12. Together, the teams build communication and confidence, followed by an awards ceremony and after-party at 2 p.m. Burning Stones Plaza. After — or for nonparticipants, during — the Family Adventure Quest, adults and kids can leave their mark on the giant mural at Copper, from 10 a.m. to 4 p.m.
At 10:30 a.m. a nature talk takes place at the base of American Eagle Lift. Copper’s campfire lights up at 7:30 p.m., with live music from Randell McKinnon, at the fire globe in Center Village, followed by fireworks over West Lake (seen from Center Village). Pedal for Pints Community Bike Ride meets at Gravitee Sports at 10:30 a.m.
For families, the Solar Bubble Tower and Family Stilt Party takes place from 11 a.m. to 4 p.m. on the Pavilion Lawn. But don’t miss the Parachute Races from noon to 2 p.m.
Yoga-lovers can practice poses at 12:30 p.m. at Solitude Station. At 1 p.m., take a blast to the past with a free concert by Three Dog Night. The action switches over to Frisco on Monday, July 4, beginning with a pancake breakfast, sponsored by Team Summit in Frisco, at the old community center, located on 110 3rd Ave. The kids’ Fishing Derby runs from 9-11 a.m. at Frisco’s Meadow Creek Park (behind Walmart). Gore Range Chapter of Trout Unlimited runs the free event, open to kids 15 and younger. Participants must bring their own rods, bait (or flies) and plenty of excitement for catching the biggest fish. Register onsite Monday morning. Meanwhile, from 10-11 a.m., the Summit Concert Band performs at Frisco’s Historic Park Gazebo. 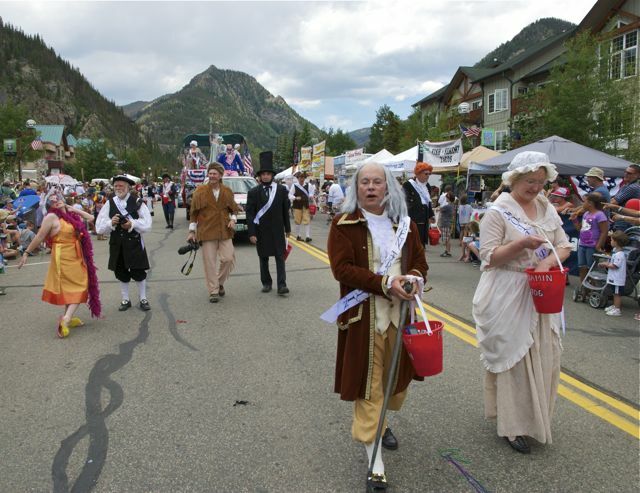 At 12:30 p.m., the headline event (besides fireworks) takes place: The Fabulous Fourth of July Parade, which winds down Main Street from Madison to 6th avenues. Kids 12 and younger can decorate their bikes and join the annual bike parade; they spruce up their bikes in the parking lot on the west side of Town Hall, at Main Street and Madison Avenue at 11:45 a.m. Next, they show off their bikes to a panel of judges and then join the parade. Concerts begin at 1:30 p.m., with Free Page 6ix at Frisco’s Historic Park. Page 6ix has gained a reputation as one of the best soul, funk and rhythm-and-blues bands in the West. They cover everything from Beyoncé to John Legend to Chris Botti. Immediately afterward, an international drum circle, led by Peak Rhythms, throws down percussive beats on Main Street, between 3rd and 4th avenue. Anyone is welcome to join, or dance, until 5 p.m.
After a break in entertainment, the Eric Lindell Band revs up the Frisco Bay Marina from 7:15-9:15 p.m. The American singer-songwriter began in New Orleans and signed to Alligator Records in 2006. His style blends 1970’s blues-rock, soul and R&B a more modern-day blues. 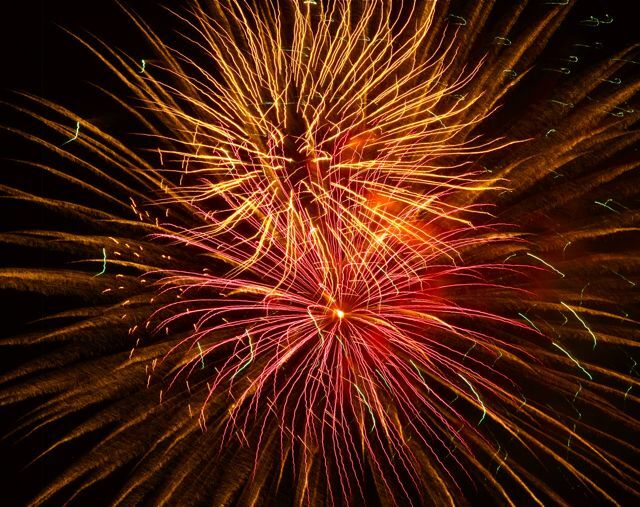 At 9:30 p.m., the main event takes place: Fireworks over Dillon Reservoir, with a simulcast of patriotic music on Krystal 93 (93.9 FM). Some of the best viewing takes place around the Frisco Bay Marina. Whether it’s solely the fireworks and music, or the whole family-fun adventure, the best place to be is Copper Mountain and Frisco.